driven and owned by Leroy Washington in September 2016. James C. Mason, a/k/a Jim Mason v. Farm Credit of Southern Colorado, ACA, and Farm Credit of Southern Colorado, FLCA. preempted by the Indian Gaming Regulatory Act (IGRA). reasons that follow, we AFFIRM. 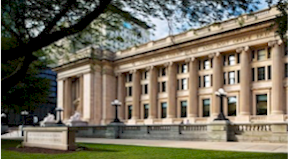 Tulsa, OK - ONB Bank and Trust Company sued Concrete Pavement Specialists, LLC and Brett C. Inman and Amy E. Inman on replevin and promissory note theories. Concrete Specialists and the Inmans counterclaimed on breach of contract, fraud and breach of fiduciary duty theories. St. Union Baptist Church, Inc. v. James M. Howard, Sr.
undisputed facts are as follows. Doberstein v. G-P Industries, Inc.
Nurse v. Omega US Insurance, Inc.
Inc. We use the name Omega as did the judge and the parties. Needelman entered into a one-year lease beginning on April 1, 2008, with the management company of DeWolf for an apartment on Greenwich Street in San Francisco (Greenwich apartment). DeWolf is an agent of M&H, the owner of the apartment building. After the lease expired on March 31, 2009, Needelman remained as a month-to-month tenant.